Implementation of charter flight from Finland to Nakhchivan is not ruled out and Nakhchivan International Airport has such a potential, Mubariz Bakhshiyev, chief of under-construction module power station in Nakhchivan, stated. 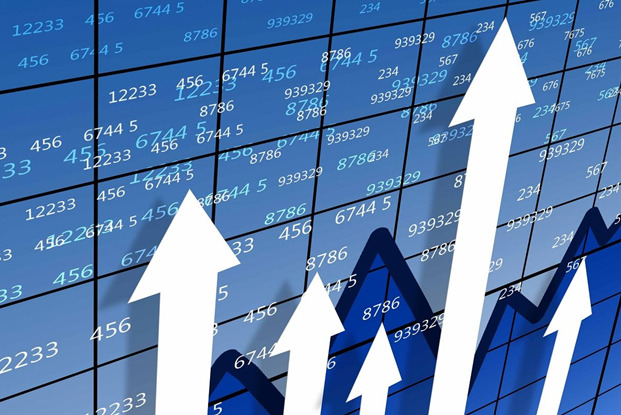 As of June 1, credits allocated to the Azerbaijani economy reached AZN 1 556.8mn which represents an increase of 39.6% or AZN 442mn as against last year respective period. Azerbaijani State Border Service (SBS) and Emergency Situations Ministry monitored the shipping vessels in the Azerbaijani part of the Caspian Sea from July 8 through 16 in order to investigate the situation. Accounting Chamber of Azerbaijan has started to conduct an audit at Azerenergy JSC today. Angola, along with several other non-Opec countries, would be largely responsible for increasing in world oil supply by 2010, said a Deutsche Bank report. 383 700 apartments of 20.6mn sq m have been privatized in Azerbaijan since the privatization of the state property started. Azerbaijan's budget surplus totaled about $220 million in January-June 2006 and inflation stood at 5.6%, the head of the country's statistics committee said Tuesday. Period of investigation of the case of Barmek employees - Rahib Musayev and Alasgar Huseynov - has been prolonged. Cargo transportation has reached 20.2mn tons in January-June which represents an increase of 11% as against last year’s respective period. As of June 1, savings of Azerbaijani population in the banks reached AZN 581.4mn which represents an increase of 36.8% as against last year respective period. July 5, 2006 criminal case was initiated against the crew members of Azerbaijani fishing boat, which was detained in the Caspian Sea waters in Dagestan. The Azerbaijani government on Monday held a meeting to discuss the recent abrupt increases in prices on agricultural goods, the underlying causes and ways of preventing the surge. Investments in Azerbaijan's economy have increased to exceed 2.6bn new manats ($2.93bn) in January-June, or 7.9% over the same period of last year. A number of changes have been made to the terms of mortgage loans aiming to benefit young families and help solve the housing problem in Azerbaijan. The World Bank is ready to allocate $500m to Azerbaijan to be invested in renovating roads of nationwide importance, Deputy Transport Minister Musa Panahov says. The World Bank has developed a general strategy on improving rural water supplies and upgrading the sewer system of Azerbaijan. Azerbaijan Ministry of Finance has granted a license to PASHA Insurance Company Closed Joint-Stock Company. Arif Valiyev: "GDP rose by 36.2% in Azerbaijan in January-June"
Gross Domestic Product has risen 36.3% to AZN 7.1bn within January-June in Azerbaijan. Production constituted 68.6% of GDP. ISR Capital Investment LLC won the competition on selling Azerbaijan Hotel announced by Azerbaijan State Committee for Management of State Property. The Cabinet of Ministers started to work out three normative documents on licensing activities of hotels in Azerbaijan. Azerbaijani Minister of Communications and Information technologies Ali Abbasov has completed his visit to the US. The State Committee for Securities registered 26 issues of short-term notes of AZN 279mln in January-June this year. In January-June the nominal incomes of Azerbaijani population reached AZN 4.8bn which represents an increase of 19.6% or AZN 793.7mn as against last year’s respective period. Initial figure of most of the phone numbers will be placed with 5 in Baku in a month. The weighted average exchange prices made up 0,8896 AZN for 1 US dollar in the Baku Interbank Currency Exchange on July 17. A Russian environmental official warned Monday of potential ecological disaster in the Caspian Sea if aging oil tankers are used to transport crude from Kazakhstan to Azerbaijan for pumping through a pipeline that bypasses Russia. Today Azerbaijani State Committee on Securities chairman, Gunduz Mammadov, gave press conference on the first half of the current year. Millicart (National cards) Processing Center gave a conference to established new juridical persons with participation of 18 commercial banks in the form of LLC with authorized capital of AZN 4mn. Russia's top mobile phone operator, Mobile TeleSystems (MTS) (MBT.N: Quote, Profile, Research), has acquired a 75 percent stake in Dagtelecom, a GSM-operator in the Caucasus, MTS said in a regulatory document on Monday. The local Bank of Baku, jointly with the Baku Electronics company, has tackled implementation of the one-of-the-kind project in Azerbaijan enabling holders of plastic cards to buy and sell goods and services via the Internet. The shipyards in the Baku Bay on the Caspian coast are to be relocated due to their causing extreme pollution of the Sea, an official from the Azerbaijan Ministry of Ecology and Natural Resources, Latifa Huseynova, has said. The Azerbaijan-Egypt economic forum is due to take place October in Baku. Azerbaijani, Turkish, Georgian and Chinese official to visit Kazakh capital. Oil export from Sangachal terminal made up 1.8 million tons in June. Turkish contracting companies which carried out works and completed successfully at recently launched Baku-Tbilisi-Ceyhan (BTC) oil pipeline, press their employer BOTAS, the state oil&natural gas pipelines and natural gas imports company, for approximately $200 million payments. Georgia may get a new source of natural gas as an alternative to supplies from Russia, according to a political agreement on Azerbaijani gas deliveries to the country starting next year. The weighted average exchange prices made up 0.8905 AZN for 1 US dollar in the Baku Interbank Currency Exchange on July 14. Azerbaijani State Customs Committee found 2 415 irregularities in January-June. 77 of which is of crime and 71 people were detained as suspicious. The Baku-Tbilisi-Ceyhan (BTC) main export pipeline is a major step in the development of Caspian energy resources, US President George W. Bush wrote in a letter sent to the BTC opening ceremony in Ceyhan, Turkey, on Thursday. In January-June the incomes of the State Social Protection Fund constituted AZN 266.235mn which represents an increase of AZN 32.296mn or 13.3 percent as against last year's respective period. Saakashvili: "We created new space of cooperation"
Georgian president Mikheil Saakashvili spoke at the Baku-Tbilisi-Ceihan oil pipeline opening ceremony held in Turkey, emphasizing the influence of the project on international relations and the global changes in the Caucasus and post-soviet space. On July 13 the Georgian National Bank held a presentation ceremony for a coin minted in commemoration of the official opening of the Baku-Tbilisi-Ceyhan oil pipeline. As of July 1, the total assets of the Bank Standard equaled AZN 80 696 000 which represents an increase by 38.5% in January-June. According to the results of the trading sessions in the currency section of the Baku Interbank Currency Exchange (BICEX) today, USD/AZN weighted average rate was AZN 0.8911/$1. Baku subway has announced a tender on purchase of 3 escalators for 28 May Station. World oil prices struck fresh historic records today. AZN (new manats) constitutes 75% in the current circulation. Azerbaijani Auditors Chamber and Baku Office of Pricewaterhouse Coopers organized a seminar on International Financial Reporting Standards (IFRS). Accounts Chamber is examining execution of funds allocated from the state budget in 6 municipalities including Khatai District. The presidents of Turkey, Azerbaijan and Georgia formally opened a pipeline Thursday designed to bypass Russia and bring Caspian oil to Europe, a route that President Bush said would bolster global energy security. The Washington Times: "Caspian pipeline to bring oil, relief for West"
"The new Silk Road," "a vital East-West energy corridor," "Europe's second Rotterdam." Warnings from critics 10 years ago against project's cost, difficulty have now dried up. The International Monetary Fund representatives are due to hold talks with Azeri officials in Baku. Inflation made up 6% in Azerbaijan in the first half of 2006, the State Statistics Committee chairman Arif Valiyev says. The evaluation of Azerbaijan's leading cellular communications provider, Azercell Telecom JV, for its further privatization is scheduled to complete by the year-end, according to the chairman of the State Committee on Property Management, Karam Hasanov. European Bank for Reconstruction and Development will set up a regional center for Caucasus countries, EURD officer in Baku Raymond Convey told journalists. An auction on placement of short-term bonds of National Bank with the state registration number 50102812S was held at Baku Stock Exchange. Georgia side presented no confirmed document on Kars-Akhalkalaki-Tbilisi-Baku railway. Heydar Babayev: "Azerbaijan's interests will be defended at the Barmek's trial"
"All interests of Azerbaijan will be defended at the trial on Barmek-Azerbaijan Power Network LLC," Azerbaijani Economic Development Minister Heydar Babayev told journalists. Ziya Mammadov: "An ad hoc commission has been set up for abolishment of Transport Department and transfer of its authorities to the Ministry of Transport"
"An ad hoc commission has been set up for abolishment of Transportation Department under auspices of Baku Mayor' Office and transfer of its authorities to the Ministry of Transportation," Transport Minister, Ziya Mammadov told journalists. Kvemo Kartli Investigative Department of Financial Police seized two lorries and two motorcars laden with unregistered products. Preparations related to official opening ceremony of Baku-Tbilisi-Ceyhan main oil pipeline, are in progress. Over 14.4m tons of oil was produced in Azerbaijan in the first half of 2006. Iran and Turkmenistan plan to join the environmental study on the Caspian Sea to be carried out late in 2006, the chairman of the Azeri Accountancy Chamber, Namig Nasrullayev, told journalists Tuesday. Business seminar on Azerbaijan's investment potential will be held in Seoul, capital of South Korea on July 18. As of end of the Q2, the total assets of the Bank Standard equalled AZN 158 058 000 or $176 482 000 which represents an increase by 60% or AZN 59 007 000 ($65 885 000) in comparison with late 2005. Tender announced by the National Television and Radio Council on 43rd channel through which Khachmaz TV is broadcasting was over. Trial on complaint of Barmek Holding and Barmek Azerbaijan Power Network took place at Azerbaijan Economic Court on Conflicts Emerging from International Contracts. According to the results of the trading sessions in the currency section of the Baku Interbank Currency Exchange (BICEX) today, USD/AZN weighted average rate was AZN 0.8924/$1. Atabank OJSC offers new SMS Banking Service to customers. An auction on placement of T-Bills of Ministry of Finance with the state registration number 10201813S will be held at Baku Stock Exchange on July 14. BP has spent $3.5mn on the ceremony to be held in Ceyhan Port, Turkey, on the occasion of opening of Baku-Tbilisi-Ceyhan oil pipeline. On Tuesday Azeri Accounts Chamber's chairman Namig Nasrullayev met with delegation led by head of Accounting Committee for Control over Execution of Republican Budget of Kazakhstan, Omarkhan Nurtayevich Oksikbayev.